This personalised speaker in ABS casing is great for promoting your business. Have your organisation logo printed on the speaker and blast out your favourite tunes no matter where you are. 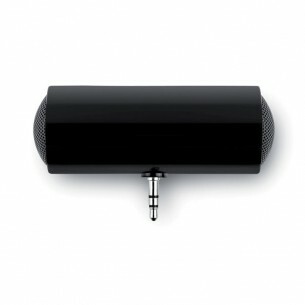 The speaker is suitable for smartphones and both MP3 and MP4. You'll need 2 AAA batteries to power the speaker, which are not included with the original purchase. This speaker is made from plastic, with colours including black, white. Print is included on the top of this product as standard - check with us for any other areas. We print this speaker item in up to 4 colours via pad print, which is a technique suitable for almost all artwork and shapes.